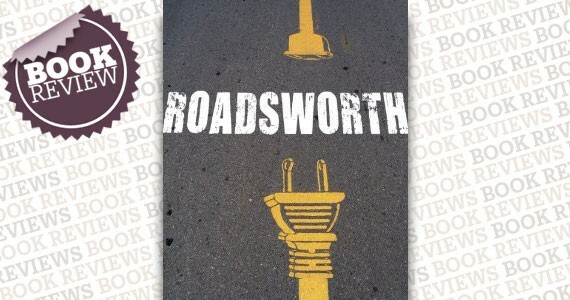 In Roadsworth’s work, crosswalks become candles. Sewer drains with dangling rubber stoppers. Concrete cracks become roots and branches with budding foliage. Or a whole parking lot that miraculously becomes a field of dandelions. Compared with fellow stencil masters Banksy or Blek le Rat’s political bent, Wordsworth’s oeuvre is rife with whimsy and playfulness. Like the 2007 NFB documentary on his work, arrest and subsequent release, this book aims to explain his relationship with the street and gives us a sketched out manifesto of sorts. Although the book is fun to look at, the film is better for the sole reason that the artwork is left to speak for itself. One or two essays and timeline would have been sufficient. Both lend further credence to the artistic drive and creativity inherent within the best urban art and how it’s integral to our own relationship with a city and the markings that surround us.